The IEEE SMC Society and the IEEE President, James Jefferies, will host a special meeting of global Brain Initiative leaders from Japan, China, US (NSF and NIH), Korea, Australia, New Zealand, Europe (HBP), IEEE, and other groups working on large-scale multi-year brain projects. The meeting will also be attended by the president of the International Neuroethics Society. IEEE, as a new participant, welcomes collaborative discussions with other global Brain Initiatives to better align and integrate IEEE’s brain efforts with other existing brain efforts. IEEE is a global technical community of 420,000+ professionals across multiple technology domains, many of whom are already active in these global brain projects. The topics discussed at this meeting are driven by input from the global Brain Initiatives representatives, and we hope these discussions will support the efforts of the Kavli Foundation and others to establish an International Brain Initiative. Topics include the current status of global Brain Initiatives and the International Brain Initiative, future collaboration and cooperation opportunities with each other, commercialization and standardization, neuroethics, and data sharing. We will also highlight the IEEE Brain Initiative and the brain research and neurotechnology efforts that are happening across IEEE. This meeting will be held during the IEEE SMC 2018 8th Workshop on Brain-Machine Interface (BMI) Systems, October 8-9, 2018 as part of the program of SMC 2018 – the flagship annual conference of the IEEE Systems, Man, and Cybernetics Society. This will be IEEE’s first collaborative meeting with global Brain Initiative leaders. All stakeholders from academic, funding agencies – both public and private, industry, and others are encouraged to attend this meeting to ensure the success of such endeavors. For more information or questions, please contact Dr. Michael H. Smith , Chair of the IEEE SMC BMI Workshop. The current boom of AI is mainly due to the deep neural networks, which lack generalization capability and requires hundreds of millions of training samples. Human brains, in contrast, exhibits great generalization across different domains, and can learn from a small sample. We hypothesize that consciousness is a key function for this capability. Utilizing a sophisticated brain decoding and real-time fMRI neurofeedback, we provide experimental supports to this hypothesis. Mitsuo Kawato received a B.S. degree in physics from Tokyo University in 1976 and M.E. and Ph.D. degrees in biophysical engineering from Osaka University in 1981. From 1981 to 1988, he was a faculty member and lecturer at Osaka University. From 1988, he was a senior researcher and then a supervisor in ATR. Since 2003, he has been Director of ATR Computational Neuroscience Laboratories. Since 2004, he has been an ATR Fellow. In 2010, he became Director of ATR Brain Information Communication Research Laboratories. In 2018, he was jointly appointed as a Special Advisor, RIKEN Center for Advanced Intelligence Project (AIP). Recently numerous feature extraction and classification methods have been developed for EEG analysis in various BCI applications and human emotion recognition. However, very few of them studied on exploiting the inter subject information for EEG classification. In this talk we overview tensor decompositions, deep learning and multi-way component analysis approaches and some promising and sophisticated algorithms which can improve BCI performance, especially for relatively small sample size. The main advantages of the proposed algorithms will be also briefly presented and some open challenging problems will be addressed. Some promising and emerging applications of BCI in rehabilitation and prediction of consciousness recovery in patients with disorder of consciousness will be also discussed. Andrzej Cichocki received the M.Sc. (with honors), Ph.D. and Dr.Sc. (Habilitation) degrees, all in electrical engineering from Warsaw University of Technology (Poland). 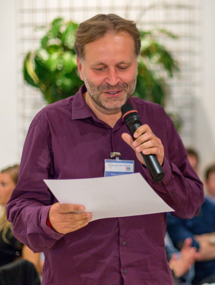 He spent several years at University Erlangen (Germany) as an Alexander-von-Humboldt Research Fellow and Guest Professor. 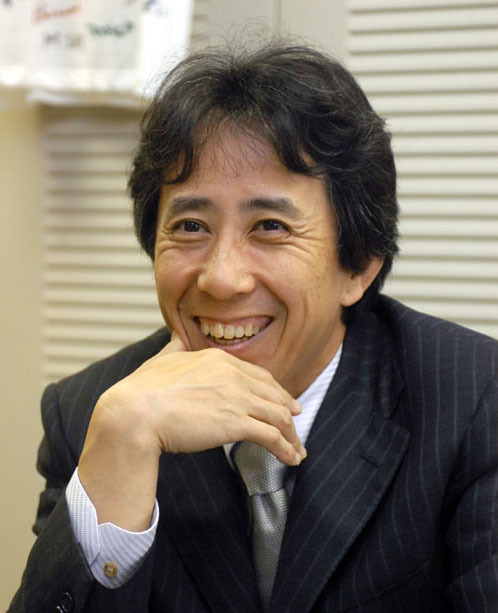 He was a Senior Team Leader and Head of the laboratory for Advanced Brain Signal Processing, at RIKEN Brain Science Institute (Japan) and now he is a Professor in the Skolkovo Institute of Science and Technology - SKOLTECH (Russia). He is author of more than 500 technical journal papers and 5 monographs in English (two of them translated to Chinese). He served as Associated Editor of, IEEE Trans. on Signals Processing, IEEE Trans. on Neural Networks and Learning Systems, IEEE Trans on Cybernetics, Journal of Neuroscience Methods and he was as founding Editor in Chief for Journal Computational Intelligence and Neuroscience. Currently, his research focus on multiway blind source separation, tensor decompositions, tensor networks for big data analytics, and Brain Computer Interface. His publications currently report over 36,000 citations according to Google Scholar, with an h-index of 82. He is Fellow of the IEEE since 2013. The Human Brain Project (HBP) is a major European scientific research initiative to improve our understanding of the brain and the role it plays in making us human, and to exploit the opportunities offered by the resulting knowledge. The project comprises basic and clinical neuroscience, large scale multilevel data integration, high performance computational modeling and simulation, and developments in neuromorphic computing and robotics. The HBP is building a novel infrastructure for a 21st century science of the brain, with six ICT research Platforms: Neuroinformatics (access to shared brain data), Brain Simulation (replication of brain architecture and activity on computers), High Performance Analytics and Computing (providing the required computing and analytics capabilities), Medical Informatics (access to patient data, identification of disease signatures), Neuromorphic Computing (development of brain-inspired computing) and Neurorobotics (use of robots to test brain simulations). Strong driving forces are opportunities for innovations, in AI and other domains, and relevance for health, in particular related to the immense societal burden of brain diseases of the world’s ageing population. In the present phase of the project, the six platforms will be united in a Joint Platform, backed by a High-Level Support Team for users. With this, the project will gradually focus more on providing tools and services for the wider communities outside of HBP in the interest of global research collaborations and more rapid advancements towards understanding the brain. 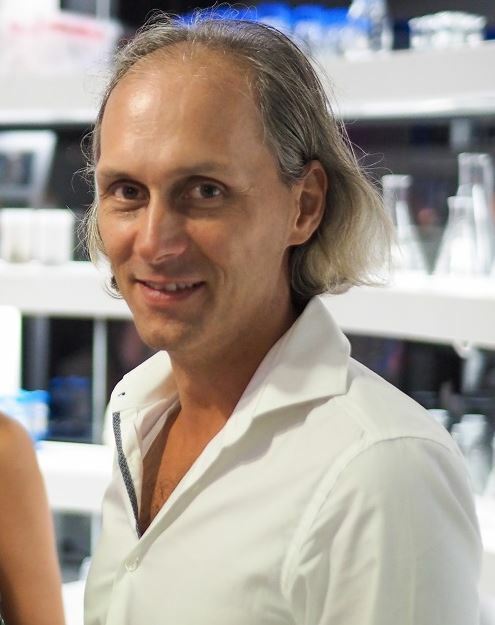 Jan Bjaalie, M.D., Ph.D. is professor at the Institute of Basic Medical Sciences, University of Oslo, and leader of the Neuroinformatics Platform of the EU Human Brain Project. 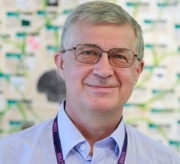 He was founding Executive Director of the International Neuroinformatics Coordinating Facility (INCF) and is currently head of the INCF Norwegian Node and member of the INCF Council for Training, Science, and Infrastructure. His research group has studied wiring patterns in the brain and developed data systems for organizing and managing heterogeneous neuroscience research data by use of a new generation of digital brain atlases. The group develops software and workflows for analysis of data integrated in the atlases (“Google maps of the brain”). 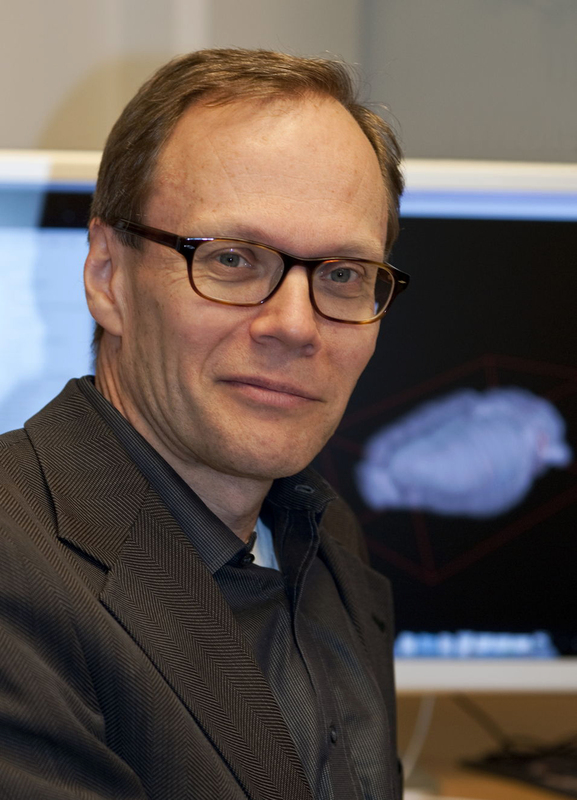 Jan Bjaalie is Chief editor of Frontiers in Neuroinformatics and Section editor of Brain Structure and Function. The talk will overview successful applications of robotic and VR/AR reactive BCIs developed by the author, in collaboration with his graduate students in Japan. The discussed applications of direct brain-robot and brain-VR/AR-agent control interfaces has been developed using visual, auditory and tactile human sensory modalities. In a reactive BCI the user intentions are decoded from the brainwaves in real-time using a non-invasive electroencephalography (EEG) and they are translated to a symbiotic robot or VR/AR agent thought-based only control. A communication protocol between the BCI output and the robot or VR/AR environment has been implemented in a symbiotic communication scenarios using a user datagram protocol (UDP) allowing for direct brain-internet-of-things (brain-IoT) control applications. Results obtained from healthy users reproducing simple brain-robot and brain-virtual-agent control tasks in online experiments support the research goal of a possibility to interact with robotic devices and virtual reality agents using symbiotic thought-based BCI technologies. The talk will also present a musical active BCI paradigm and a recent AI approach to passive BCI, which analyzes an arbitrary brain activity and allows for biomarkers monitoring of elderly users for potential dementia progress elucidation. Dementia and elderly support with AI are very hot topics of interest in aging societies. Discussion of future research directions will summarize the talk. Tomasz (Tomek) M Rutkowski is a researcher and educator born in Poland. 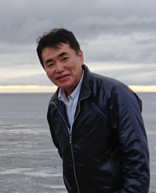 He lives in Japan since 1998 and focuses his professional activity on computational neuroscience (neurotechnology), multi-sensory (multimedia) applications, artificial intelligence and intelligence augmentation. He developed an award winning tactile (haptic) brain-computer interface and he is also active in multi-sensory (auditory, visual, tactile, etc.) media design. Tomek contributed also to a design of a direct brain-music interface with Prof. Furukawa’s team (Tokyo National University of Fine Arts and Music) and he has been involved in a research on brain correlates of creativity together with Prof. Okada (The University of Tokyo). Currently he is an AI research scientist at RIKEN AIP in Tokyo where his research has been focused on human intelligence augmentation (IA) for dementia prevention and a passive BCI development with support of deep learning techniques. Here you can find a full publication list. Brain-computer interfaces are used for many different applications that range from spelling, cursor control to assessment of brain functions in patients with disorders of consciousness to motor rehabilitation in stroke patients. BCIs use either invasive or non-invasive brain signals and are controlled e.g. with motor imagery, evoked potentials or steady-state evoked potentials. The talk will highlight current and future applications and will explain what can be achieved. A real-time EEG based brain-computer interface will be demonstrated to make sure attendees know how to assemble EEG electrodes, inspect the data quality, perform real-time EEG analysis and to calibrate a BCI system. This is the basic requirement for running BCI experiments successfully in the BCI Hackathon. Christoph Guger is the founder and CEO of g.tec medical engineering GmbH. He studied Biomedical Engineering at the Technical University of Graz, Austria and at the John Hopkins University in Baltimore, USA. During his studies, he concentrated on BCI systems and developed many of the early foundations for bio-signal acquisition and processing in real-time. g.tec produces and develops BCIs that help disabled people communicate or control their environments by their thoughts, regain motor functions after a stroke, and achieve other goals. The products and research activities have been widely presented in peer-reviewed research publications, demonstrating the high quality of g.tec’s tools and methods. He is running several international BCI research projects. Dr. Kamada will explain the usage of invasive and non-invasive BCI technology for neurosurgical applications in epilepsy and tumor patients. This includes high-gamma mapping technologies to identify the eloquent cortex of these patients in the intensive care unit and in the operating room. Furthermore, cortico cortical evoked potentials will be explained. This technique allows to rapidly map a whole cortical network by just stimulating a single cortical region. Dr. Kamada will also show how BCI technology with the ECoG can be used for BMI control. Dr. Kamada is a neurosurgeon at the Asahikawa Medical University in Japan. He is leading a team of medical and scientific members and performs studies with the EEG, fMRI and ECoG in epilepsy, tumor and stroke patients. He developed techniques like high-gamma mapping to identify the eloquent cortex or mapping whole cortical networks. He has international collaborations in the USA and Europe in the BMI field and performs many real-time experiments in this domain. Contact him at kamady@asahikawa-med.ac.jp. As we move through an environment, we are constantly making assessments, judgments, and decisions about the things we encounter. Some are acted upon immediately, but many more become mental notes or fleeting impressions — our implicit "labeling" of the world. In this talk I will describe our work using physiological correlates of this labeling to construct a hybrid brain-computer interface (hBCI) system or augmented navigation in a simulated 3-D environment. Specifically, we record electroencephalographic (EEG), saccadic, and pupillary data from subjects as they move through a small part of a 3-D virtual city under free-viewing conditions. Using machine learning, we integrate the neural and ocular signals evoked by the objects they encounter to infer which ones are of subjective interest. These inferred labels are propagated through a large computer vision graph of objects in the city, using semi-supervised learning to identify other, unseen objects that are visually similar to those that are labelled. Finally, the system plots an efficient route so that subjects visit similar objects of interest. We show that by exploiting the subjects’ implicit labeling, the median search precision is increased from 25% to 97%, and the median subject need only travel 40% of the distance to see 84% of the objects of interest. We also find that the neural and ocular signals contribute in a complementary fashion to the classifiers’ inference of subjects ‘implicit labeling. In summary, we show that neural and ocular signals reflecting subjective assessment of objects in a 3-D environment can be adaptively integrated with models of that environment, resulting in an hBCI system that improves navigation and information delivery specific to the user’s interests. Paul Sajda is a Professor of Biomedical Engineering, Electrical Engineering and Radiology (Physics) at Columbia University. He is also a Member of Columbia’s Data Science Institute. 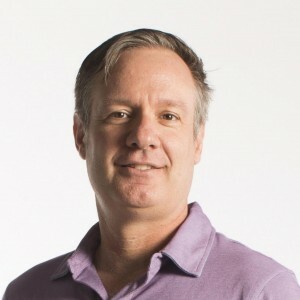 He received a BS in electrical engineering from MIT in 1989 and an MSE and PhD in bioengineering from the University of Pennsylvania, in 1992 and 1994, respectively. Professor Sajda is interested in what happens in our brains when we make a rapid decision and, conversely, what processes and representations in our brains drive our underlying preferences and choices, particularly when we are under time pressure. His work in understanding the basic principles of rapid decision-making in the human brain relies on measuring human subject behavior simultaneously with cognitive and physiological state. Important in his approach is his use of machine learning and data analytics to fuse these measurements for predicting behavior and infer brain responses to stimuli. Professor Sajda applies the basic principles he uncovers to construct real-time brain-computer interfaces that are aimed at improving interactions between humans and machines. He is also applying his methodology to understand how deficits in rapid decision-making may underlie and be diagnostic of many types of psychiatric diseases and mental illnesses. Professor Sajda is a co-founder of several neurotechnology companies and works closely with a range of scientists and engineers, including neuroscientists, psychologists, computer scientists, and clinicians. He is a fellow of the IEEE, AMBIE and AAAS and Chair of the IEEE Brain Initiative. .
1) Performance variation and illiteracy of BCI/BMI, 2) Correlates of performance and prescreening approaches, 3) Zero-training approaches, 4) Achieving the reliable BCI system. Lastly, future outlook as well as R&D trends of BCI/BMI are discussed. The IEEE Industry Connections group on neurotechnologies, supported by IEEE Standards Association and the IEEE Brain Initiative, is working to identify current needs and challenges for standardisation of neurotechnologies. This panel will advance discussions on this topic among representatives from industry, academia, technologists and other stakeholders. The field of Brain-Machine Interfacing (BMI) is going through a very exciting period where numerous emergent neurotechnologies are exploiting neural signals for a range of practical applications, both clinical and non-clinical. As research with these state-of-the-art technologies continues to improve our understanding of the mammalian nervous system, such systems are currently being tested with their intended end-users in clinical and real-world environments. This translation from research prototypes to viable clinical or consumer products entails multiple challenges – both technical and commercial. Broadly speaking, the proliferation of biosensing modalities, end effectors, applications, and prospective user populations has created the need for a more interoperable ecosystem of neurotechnologies, including traditional and novel BMIs. Furthermore, the possibility of deploying and commercialising BMI-based solutions with human users requires researchers, manufacturers, and regulatory agencies to ensure these devices comply with well-defined criteria for their safety and effectiveness. Consequently, there is an increased interest in development of appropriate standards for BMI systems and related neurotechnologies. Low energy microwaves are a promising emerging modality for structural, vascular and functional brain imaging and BMI, and have the potential to be safer, and far smaller and less expensive than fMRI, and to image functional and vascular activity deeper in the brain than is possible with fNIR. This standard specifies the areas of intended usage, electromagnetic, electrical and mechanical safety and electromagnetic compatibility (EMC) requirements for both clinical medical imaging and fully-wearable consumer BMI devices. WG members, and prospective WG members are all welcome at this meeting. The goal of this panel of funding agencies and leaders in brain research is to address future research opportunities and funding opportunities in brain research and in the development of neurotechnologies. By identifying such opportunities, researchers will be better able to focus on successful clinical translation and commercial application of neurotechnologies in real-world situations. Questions and interactions between the panelists and the audience is highly encouraged. BMI Panel II: Important Topics in Designing and Building Real World Neurotechnologies: What is New? The goal of this panel of experts on the design and development of new neurotechnologies is to address current challenges and hot topics in brain research. By identifying the challenges confronting the successful clinical translation and commercial application of neurotechnologies (including BMI/BCI systems) in real-world situations, this panel will identify opportunities for SMC and other efforts to dramatically improve the performance and benefits of such systems for the patients and users. Can neurotechnologies be used to integrate human intelligence and AI? Can AI be used to improve/speed development of neurotechnolgy/BMI devices? Can AI help improve the performance of neurotechnologies/BMIs and vice versa? How can we improve the interpretability of AI to improve our understanding of the brain? How much enhancement of intelligence can be achieved, if any? This is the final session of the workshop, in which invited guests and audience members share insights gained regarding the as-presented state-of-the-art brain research and neurotechnologies in this Workshop and Global Brain initiative meeting. Discussions will include projections as to future advances in this field. Submissions to the BMI workshops are done through the main conference SMC submission page and papers follow the due reviewing process. To ensure that your paper gets proplerly assigned to the BMI session, be sure to select the appropriate session at submission (BMI workshop sessions are H23 to H31). Please, do not hesitate in informing the workshop chairs about your submission via email. Papers should be concise, but contain sufficient detail and references to allow critical review. Please click here to download the call for papers. Accepted papers that are not physically presented at SMC 2018 will be excluded from the IEEE proceedings.